If you are a tourist wanting to discover the beauty of the Australian continent, you will undoubtedly want to try all the traditional dishes. Even if you were born and raised there, you will still eat all the food you are offered, provided it is delicious. However, thanks to the variety of tourists and expats coming from all corners of the world, Australia had to accommodate. Luckily for all of you, halal food lovers, there are plenty of restaurants you can eat at during your travels. Here’s a list of the best 15 halal restaurants in Melbourne for you to try while having a holiday in Australia. 15 halal restaurants in Melbourne that you must try! This place is one of the Halal restaurants in Melbourne. It is perfect for those that can appreciate good halal food and want to enjoy a great meal. The head chef is sure to deliver some of the best Asian dishes that are fully delicious and nutritious. The Mamak restaurant will amaze you once you get inside with its friendly atmosphere and nice people. 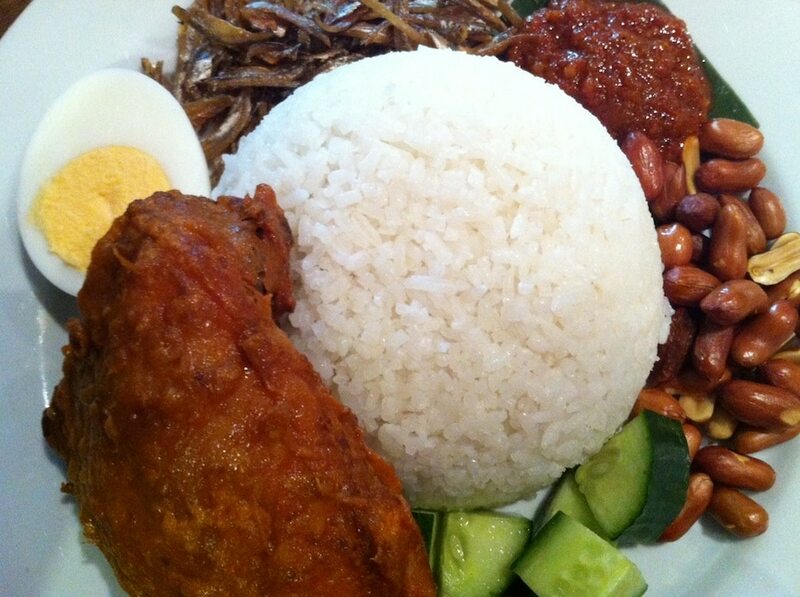 If you’re more of a classic yourself, then order some Nasi Lemak which you can then combine with the more flavored curry lamb for an extra taste. Or, you can pick one of the spicy main courses such as Kari Kambing and Ayam Goring. Finish off with Roti Pisang topped with some delicious ice cream, just perfect for the torrid Australian afternoons. Most of the ingredients they use are vegetarian-friendly. Combine that with the stylish interior design and you obtain the right place for lovers of beautiful places that have decided to take a break and relax for a bit. This place is one of the Halal restaurants in Melbourne. Start off your lunch with some tabbouleh which works great with the local falafel. Try the newest main course on the restaurant’s menu, Kebab Sultan, which we are sure will become one of your favourites in no time. If you have a sweet tooth, then the owner has a surprise for you: Walid’s home-made ice cream, the most refreshing ice cream of which the pistachio one might be the best. Here you can find both vegetarian and vegan dishes cooked in an Asian style. So, if you are interested in tasting a bit of Asia, this might be the perfect Aussie restaurant for you to do so. The tasty Nepalese dishes are delicious to say the least. For the lighter eaters, the Nepalese mushroom curry or Channa Aloo Masala will easily spark their interest. Still, if you’re really hungry and are sure some veggies just won’t do it for you then go for the most amazing Chicken Tikka Masala you’ll ever taste in your life. What made us fall in love with Nirankar even more are its home-made ice creams, mixed with the dazzling flavors of the Indian universe. It is indeed one of the best Halal restaurants in Melbourne. Dolan Uyghur Food heaven is probably one of the few places in Australia that, aside from other recipes, offers its clients a mixed style of Chinese and Turkish dishes. Try the fried beans or the stretched noodles when you are in Melbourne. Also, the owners have prepared a true feast for us, the lamb lovers, offering us an explosion of flavours so nicely combined in the Stir Fried Lamb with cumin or the Stir Fried Lamb with Black Fungus on rice. The cold dishes will help you shake off the heat in no time so go for the Lampung or Kala Gosh salad. Vegans and vegetarians, rejoice, as you’re not left aside in this restaurant either! You can have a taste from the Southeast Asia’s most delicious and healthiest by trying Purqak Kormisi or Lai Pedigan, depending on what veggie you like better that day. Mr & Mrs Halal Tip: You’ll find some of the cheapest prices in town at one of these halal restaurants in Melbourne. If you are more on the fancy side, then you should definitely book a table at ILoveIstanbul. Lovers of Halal food, gather around! You can try here some of the best Turkish food in town combined with the most refreshing drinks. This place is one of the Halal restaurants in Melbourne. The location is superb, and the restaurant will definitely amaze you both with its interior and exterior design. However, as nice as it is, there’s no doubt that its official motto is: Kebabs, kebabs, kebabs! Everything, from the classical ones to the platters where you can combine the meat with chips and salad and to the vegetarian version stuffed with lots of lettuce and tabbouleh, can be found there. If you’ve come more for the sugary aspect of it, an entire array of desserts awaits you: Semolina cake, Belgian chocolate coated Turkish delight or Lemon sorbet log are just a few of the names on our list. The place’s unique design combines the friendliness specific to the more popular food chains with the spiciness of the Malay food offered to you at very good prices. A relaxed environment packed with the right kind of people. What more could you possibly wish for? The menu will welcome you first with some Must-Try dishes such as Tahu Telur (deep-fried tofu topped with vegetables and soy sauce), Roti Prata (a traditional bread spiced up with curry sauce) or Tahu Goreng. If you’re more of a rice person, then go ahead and order one of the 10 dishes whose key ingredient it is. Teh Tarik (brewed leaves in condensed milk), the restaurant signature drink, is a great way to finish your meal and head off to new adventures. So, let’s dine at one of these halal restaurants in Melbourne. The Chilli India restaurant provides you with popular Indian recipes, prepared and served to you by a nice staff. The place exudes calm, as if its personal mantra were “eat all you wish and pay what your heart feels”. 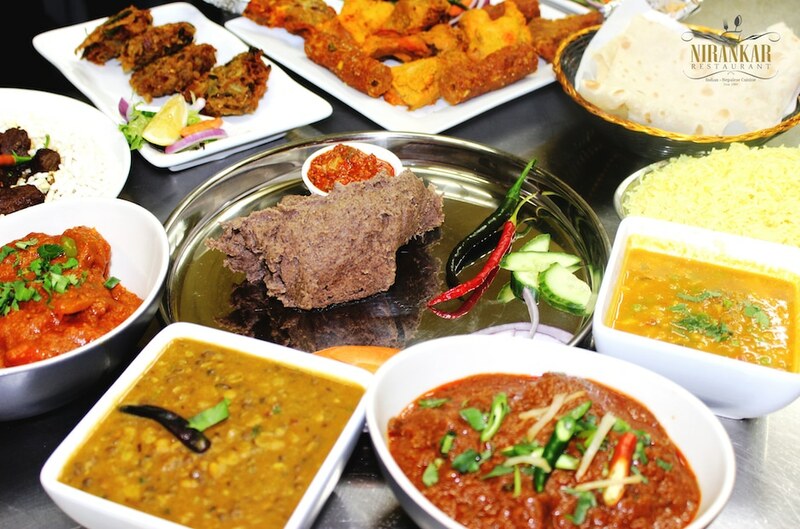 However, that’s just an impression, as there you’ll find some of the most spiced up dishes ever while in Melbourne. Their names are suggestive, to say the least: Dragon Paneer, Dragon Gobi or Lamb pepper fry (they even have a dish called Dragon Baby Corn!). Wake up your senses even more with a Chicken Chennai or Lamb Roganjosh, whose specific heat is given by the multitude of spices the cooks use. It is one of the top Halal restaurants in Melbourne. One of the most affordable places on our list, Mama Wong’s Kitchen’s popularity is given by its cheap prices and the friendly atmosphere. Have a taste of one of the best curry puffs in town or try the chicken wonton soup! You’ll enjoy yourself at one of these halal restaurants in Melbourne. Due to the fact that it is definitely not the biggest restaurant out there, and can get pretty crowded as a result, you can always choose the takeaway option. Order some spring rolls, a plate of Hokkien Mee or some Singapore noodles from Mama Wong while in Melbourne. Browsing the internet for some extra information and reviews, we have found many of them regard Oasis Bakery as one of the most crowded halal restaurants in Melbourne. This made us go there, and we weren’t in the least surprised, as everything was as expected. Why was it so? Probably because we found the dishes and drinks great, both visually and in terms of taste. Part supermarket, part restaurant, the number 9 on our list is a true show-off. 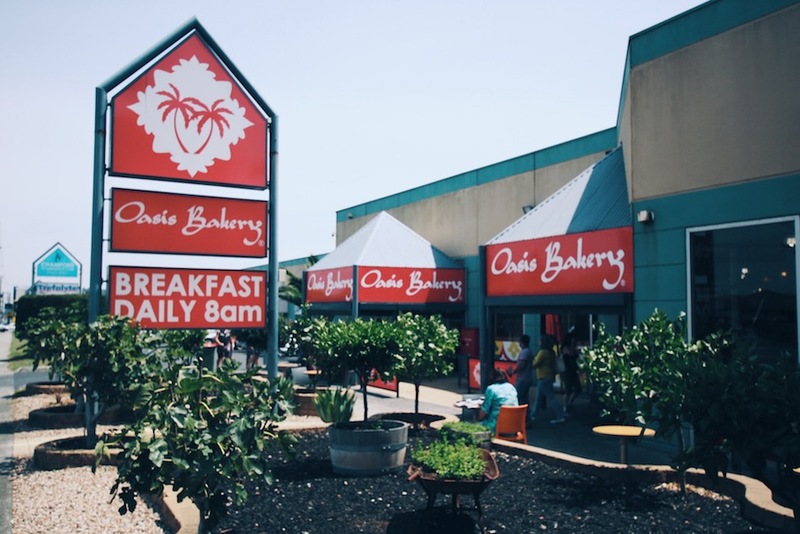 What first caught our attention was the plethora of fruits with which Oasis Bakery welcomes its clients first thing in the morning: berries, dragonfruit, mango, banana, all mixed up in the most delicious of smoothies! For something a bit more filling, the Lebanese breakfast or Teta’s lamb and eggs might be just the right choice. Another Lebanese restaurant on our list (because their dishes are just that good! ), A1 Bakery will satisfy even the most pretentious of clients with its tasty Manquosha pie or the spinach and cheese triangles. Have a break from all the veggies with an equally healthy Chicken Pizza, topped with haloumi cheese, mushrooms and flavorsome herbs. If you fell in deep for the Lebanese food, then the Falafel or Chicken Tawouk platters will satisfy your need and greed. But why not get the best of both worlds with the Half and Half platter where you’ll have a taste from the spicy toasted chicken and the most delicious falafel balls on just one plate. This place is one of the Halal restaurants in Melbourne that you must try! Why go there: you get to see how the pizza is made in front of you! Everything, from the staff to the dishes to the prices, screams niceness. 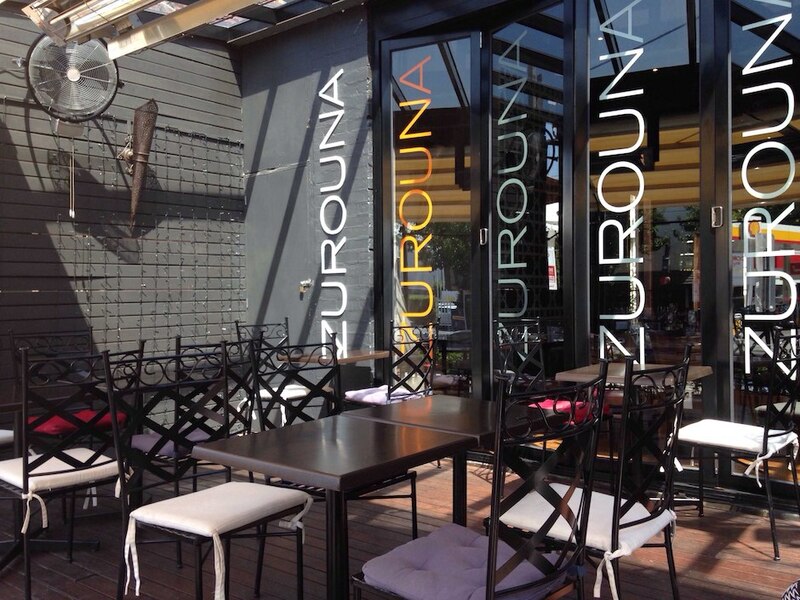 What made us go there was a rumour according to which Zurouna has an outdoor setting as well. And what’s better than to enjoy your lunch in a sunny, natural environment? Grilled lamb fillets topped with a spicy sauce or a Lamb Kafta toned down with some freshly cooked eggplants is just good for a well-rounded meal. If you’re on the run, consider ordering Zurouna’s Fattouch, Batata Hara( fried potatoes with spices) or Roast vegetables together with a dip of Hummus. It is indeed one of the best halal restaurants in Melbourne! One of the cheaper halal restaurants in Melbourne, the Nelayan Indonesian Restaurant welcomes its clients with a plethora of dishes, of which all are delicious. If you are a tired backpacker and look for a place where you can eat good food at a reasonable price, then this is the restaurant for you. The menu is basically made of combinations of yellow rice and whatever side dish you think might work with it. For some extra dollars, you can also order some extra rice or veggies. Gorgeous flavours. The world’s most amazing spices. And a perfect place for couples to enjoy a great night out in a relaxed environment. Killiney Kopitiam Bourke Street, a Singapore-style restaurant has them all and something more. Indeed, it is one of the best Halal restaurants in Melbourne. Have a taste of Singapore by booking a table at this one-of-a-kind place. What is the restaurant welcoming you with? Well, let’s start with the entrée from which you can order anything from boiled eggs to the vegetable spring rolls and the infamous Roti Prata topped with whatever sauce you might like. Heat up your lunch or dinner with Killiney Mee Rebus, a mind-blowing combination of yellow noodles served with the hottest sauce out there or go with the more chilled out version, Killiney Hainanese Chicken Rice, a traditional Singaporean dish. Finish your feast with a Vanilla ice cream with lychees or a cup of Fresh homemade jasmine tea. A chill atmosphere where you can feel at ease together with your family and friends can be found as well at PappaRich, a popular Malay-style restaurant in Melbourne. With such a wide array of places where you can try the Malay dishes, PappaRich might seem to you like one of the many others waiting to be visited. However, you will be surprised to see just how mind-blowing the flavours are there. Try the best home-made bread in town by ordering the flavorful Hainan toasted bread with butter and kaya or give it a sweet twist and opt for the sugary version of it. 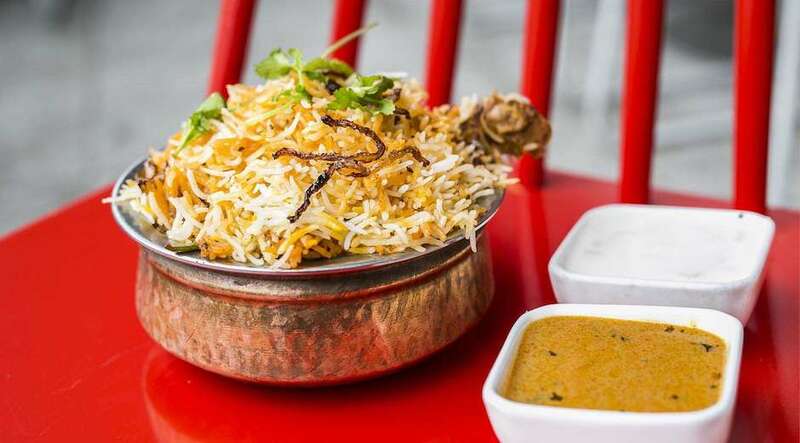 Biryani rice with vegetarian curry mutton, Satay beef, Chicken dumplings or Pappa chicken rice with steamed chicken are just a few of the stars on the menu that you will definitely enjoy. Don’t leave the restaurant without tasting the Lychee soda, one of PappaRich’s specials! At number 15 on our list stays a fast-food restaurant. After all these select places where you will be welcomed with some dishes that are more on the fancy side, City Kebabs might seem like a breath of fresh air. The best bread, best veggies, best halal meat, they can all be found here! Leave the fancy dishes aside and leave the amazing flavours blend in your mouth. Lamb, chicken or falafel, topped with tabbouleh, jalapenos or chunks of pineapple and drizzled with a hot chilli or lemon sauce. Just how amazing does that sound? Cool down a bit with some Ice tea or Ayran afterwards and you’re good to go to the next restaurant. What to eat: the tasty Kebab! With a plethora of recipes, some more eccentric than others, these halal restaurants in Melbourne are sure to delight your taste buds from the very beginning. While you will definitely find popular fast food chains or would rather buy cheaper food so as to have more money for the trips, nothing equals the tasty meals prepared by professional cooks. Let us know where you’ve been, where you’re planning to go or any tips and tricks you have found along your journies in the comment box below!